Garnet Education Pvt Ltd, is the trademark license for UCMAS. UCMAS is a child development program based on Visual Arithmetic and Abacus that boosts brainpower in children aged 5-13 years. 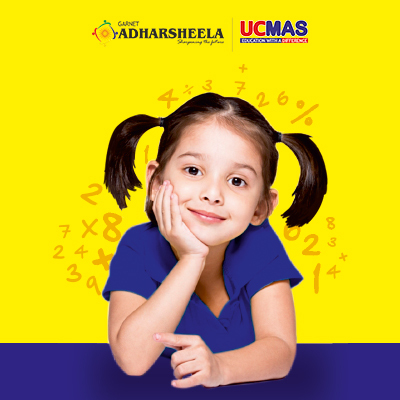 Along with strengthening math skills, the UCMAS approach promotes cognitive skill development in children. GARNET ADHARSHEELA is a name synonymous with quality in preparatory school education and undoubtedly one of the best known Activity Centres in Ghaziabad today. 9. Cashback will not be processed for non-KYC users. Get your KYC done to receive the cashback. Please ignore if KYC is already done. Offer is valid from 20th July 2018 - 30th Sept,2018 or until stocks last before the valid date. Use Code GARNET30 and get 3% Cashback upto Rs. 30 when you pay Garnet Education fees on Paytm.